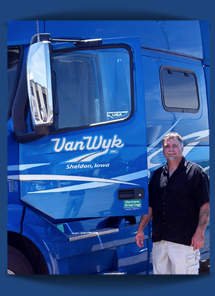 You’ll drive with pride when you work with Van Wyk. Enjoy a late-model tractor spec’d for your comfort: 80% of our tractors are less than 1.5 years old. And all our trucks are assigned—so no hassles of slip seating!